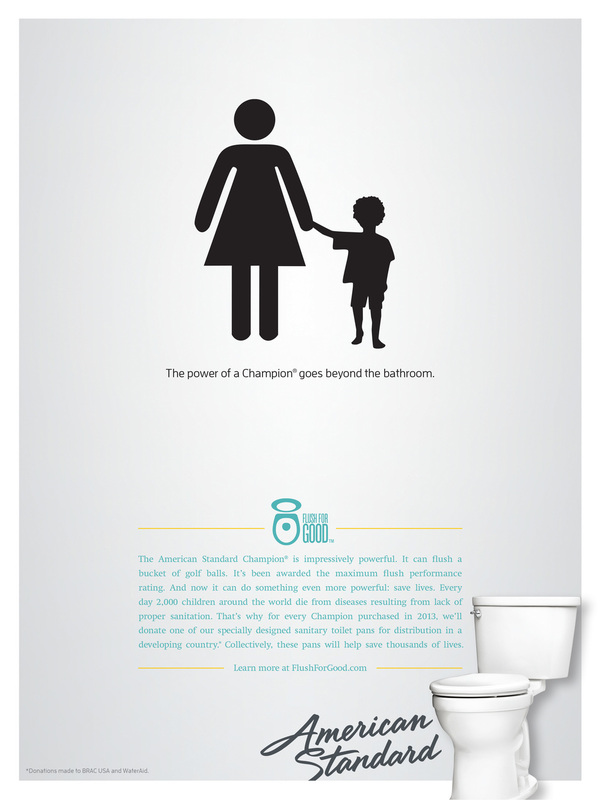 The logo I created for American Standard’s Flush for Good campaign that symbolizes the dual power of their Champion® toilet: Its powerful flush, and its philanthropic initiative that donates toilet systems to developing countries. 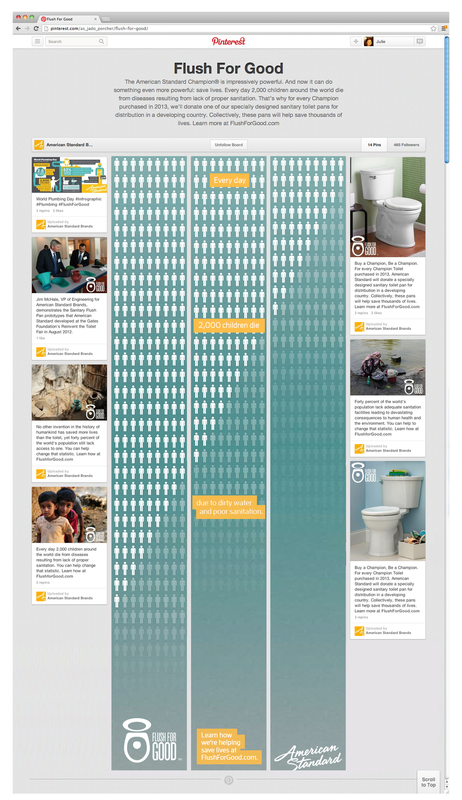 Click through below to see individual print ads. 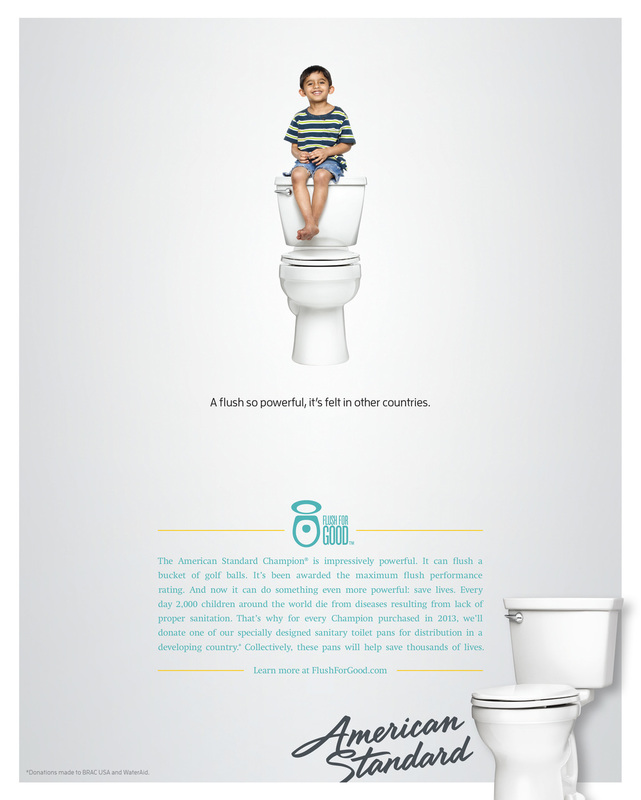 I concepted and designed this paralex website to educate our users on American Standard's Flush For Good initiative and how they could help in the fight against poor sanitation in developing countries. 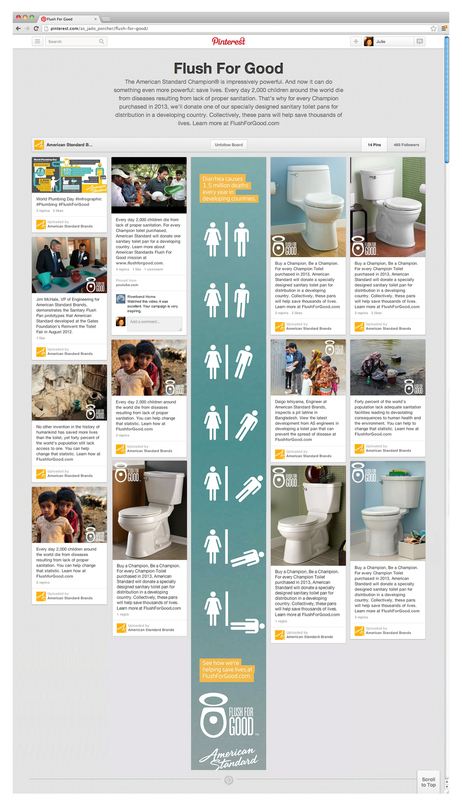 Facebook users could see where toilet pans were being donated from, pledge to save water, and learn more about the lack of sanitation in developing countries and how they could help. 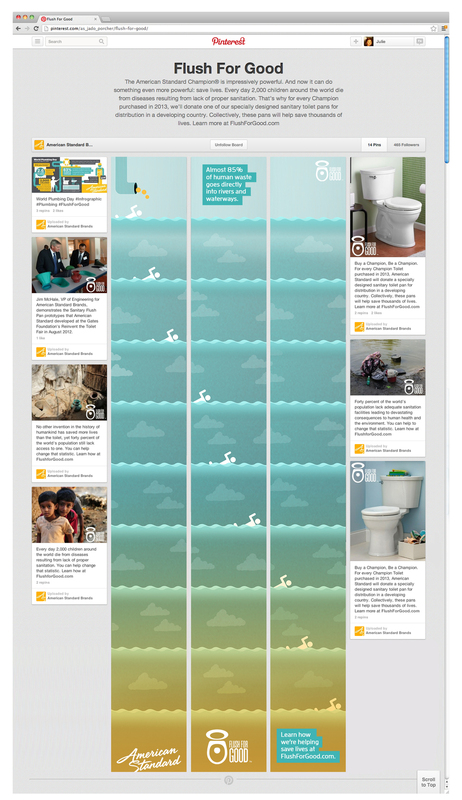 Scroll down to see an "interactive" Pinterest campaign to illustrate Flush Facts to consumers in a more thought-provoking way.